Everyone is so busy these days juggling a full-time career, parenting responsibilities, chores, finances, errands, exercising, traveling, etc., that who has time to make a Thanksgiving dinner from scratch? Well, I am going to let you in on a little secret 🙂 Nearly everything can be made in advance and frozen until the big day arrives. And yes, it will still taste just as good, I promise! The only thing you will have to do, is reheat some items and cook the turkey, or whatever your main dish is. By preparing everything in advance and freezing it, you will be able to have a completely homemade meal, versus reaching for unhealthy quick substitutes. The menu I have posted below is what I have eaten at Thanksgiving year after year. This is an evergreen post, so I will be adding more dishes to it as time goes on. 🙂 Since we only have less than one week to go before Thanksgiving, the menu laid out below is optimized for the time left. Starting with next year (since this is my first year food blogging for Thanksgiving!) I will also add a schedule that starts months in advance :). I will also try and make a printable grocery shopping list for people to make things even easier. Homemade butter using a mason jar. Reserve the buttermilk to make blueberry buttermilk pancakes Thanksgiving morning. Baked butternut squash using the homemade butter from the day before. 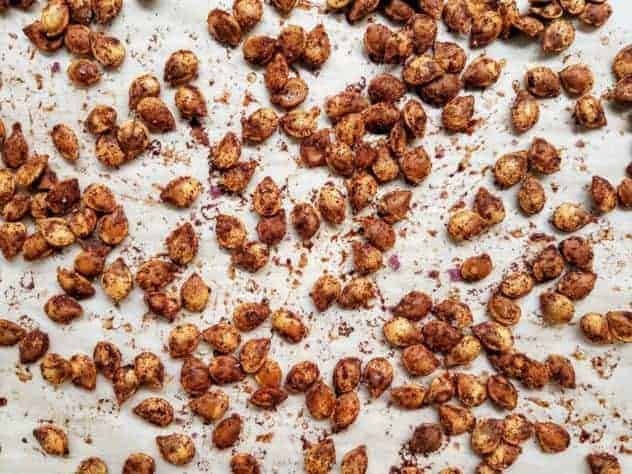 Save seeds and set aside to dry overnight on a towel in preparation for roasting the next day Alternatively, you can also make roasted delicata squash. The shopping list above assumes that you will be making the dishes in the order laid out above. If that’s not the case, you might have to purchase your own butter and whipped cream if you decide not to make those from scratch. I tried to group things together as you would find them in the grocery store to make navigation easier :). The best time to make this is actually in the fall when apples are in season, and at their lowest price. Here in NY, I can get a large tote full for $0.88/lb! For my applesauce I like to use either McIntosh or Gala apples, but you can use any type or mixture of apples that you want. 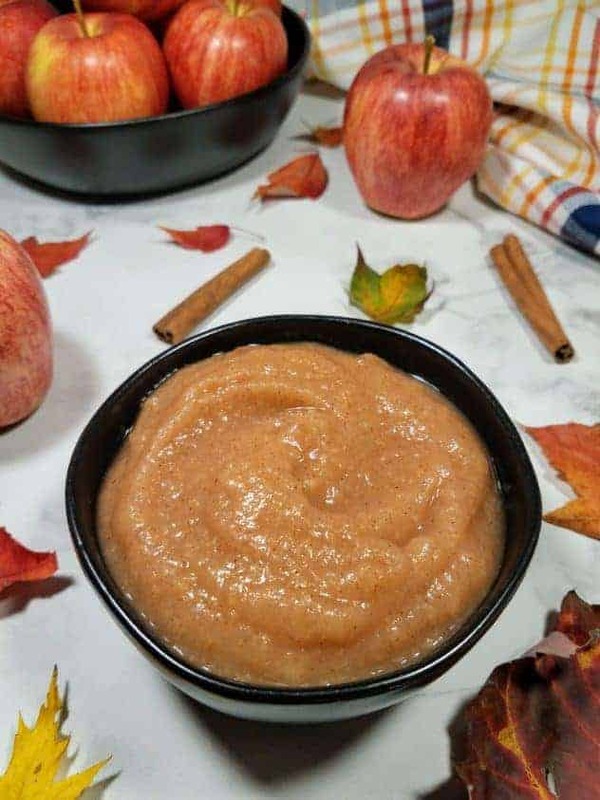 This healthy homemade applesauce contains just apples, water, and spices! No added sugars or artificial ingredients. This recipe is vegan and top 8 allergen free. To freeze: Scoop the applesauce into labeled freezer safe mason jars leaving an inch or two of head space, and put in the freezer for up to 2 months. Two days before Thanksgiving, move the jars from the freezer to the refrigerator to thaw out. Similar to apples, the best time to make this is in the fall when they are in season, and at their lowest price. A few weeks before Thanksgiving, I have been able to find butternut squash for as cheap as $0.39/lb. This recipe is also vegan and top 8 allergen free. My favorite vegan butter to use is Earth Balance. It tastes like the real thing! If you want to use real butter, you can also make your own using a mason jar. To freeze: Scoop the baked butternut squash into labeled freezer safe mason jars leaving an inch or two of head space, and put in the freezer for up to 2 months. Two days before Thanksgiving, move the jars from the freezer to the refrigerator to thaw out. I remember posting a while ago, that I am adamantly against packaged foods…except this dish :). 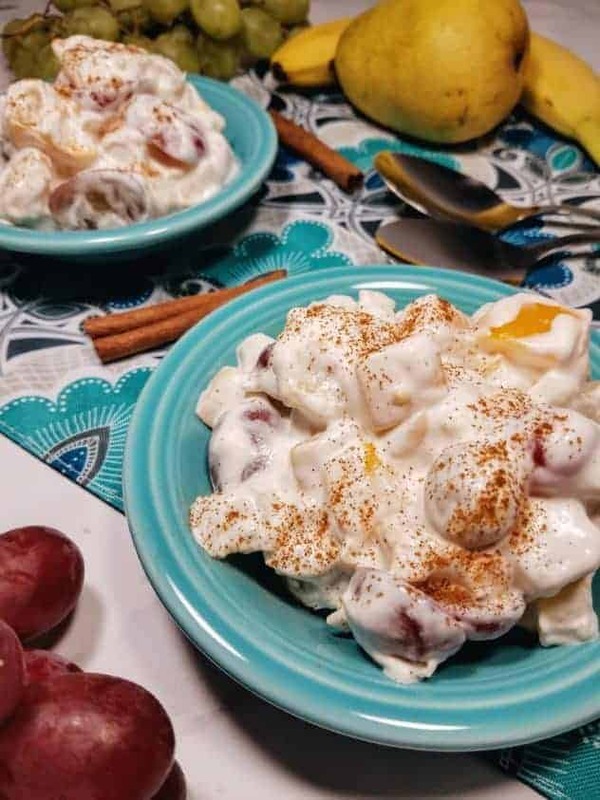 My recipe for whipped cream fruit salad does use canned fruit cocktail, but it is a throwback to my childhood and my family has made it the same way ever since! There is some fresh fruit added into it, and you can of course choose to make the entire dish with fresh fruit if you want! This dish also makes use of my homemade whipped cream. 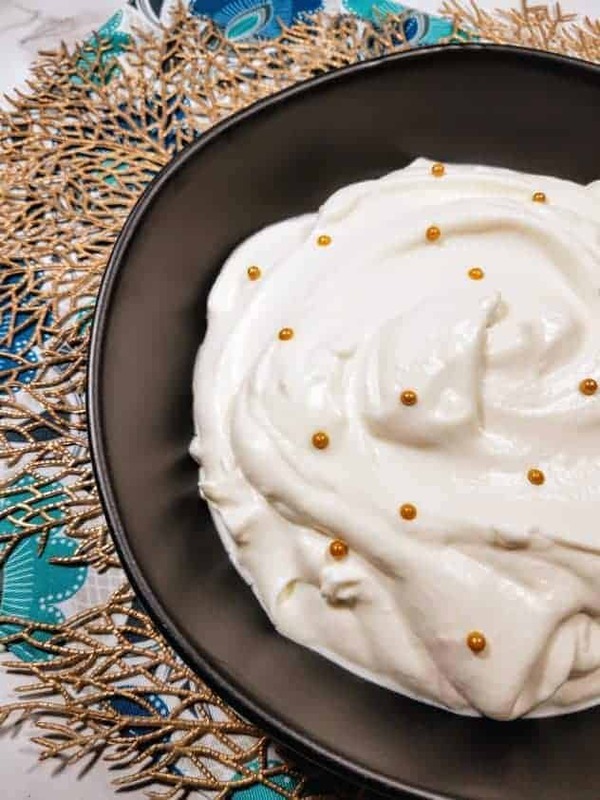 This whipped cream can be used in the fruit salad above, as a topping for pies, pancakes, fruit, hot cocoa, or golden milk lattes. Homemade whipped cream only contains 3 ingredients, and can be made in 7 minutes or less! Goooooddd bye Cool Whip and sketchy ingredients! To freeze: If you are going to use it in the fruit salad recipe above, freeze as one large batch. To thaw, remove from the refrigerator 2 days in advance. If you are going to serve the whipped cream on pies, in hot cocoa, on fresh fruit, pancakes, etc, you can actually freeze the whipped cream in dollops. To do this, first line a baking tray with wax paper. Then using a spoon, scoop a dollop of whipped cream and place on the waxed paper. Alternatively, you can use cupcake/cake decorating tips to pipe swirls on the wax paper. Place the baking sheet in the freezer for a few hours, or until dollops are frozen through. Transfer to a labeled freezer bag. To thaw, remove bag of dollops from freezer one day before Thanksgiving. Did you know that you can make homemade butter using a Mason jar? No fancy butter churner needed! Just a mason jar, and 20 minutes of upper body exercise ;). I like homemade butter, because you can customize it however you want and it’s free from any artificial flavors. And that buttermilk that’s leftover after making the butter? You can use that to make some homemade blueberry buttermilk pancakes! To freeze: Place butter in a labeled mason jar, and place in the freezer. Flavored pumpkin seeds (or any winter squash seed really) with a clean ingredients list can be very expensive to purchase. Fortunately, it is very easy to make your own! And since most people prepare butternut or delicata squash as a side for Thanksgiving, you will already have some on hand to roast. Golden milk latte is my new favorite hot beverage. 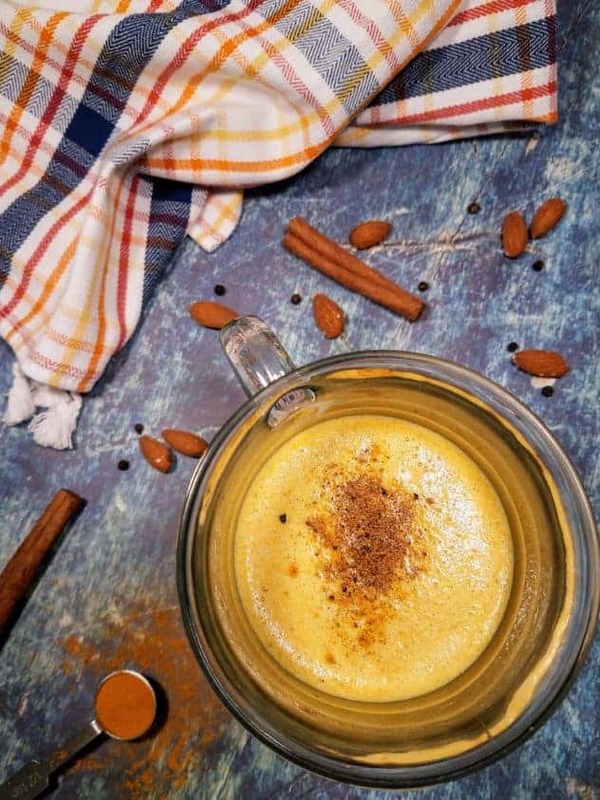 The curcumin has anti-inflammatory effects, and if your Thanksgiving Day was stressful, then this drink is for you! A perfect and healthy way to relax and unwind after the table has been cleared, and your house is nice and quiet. Top with a dollop of homemade whipped cream! This year for the first time I won’t have to do anything for Thanksgiving and I can tell you it feels weird. I am still taking all your tips for next year. Thanks for sharing. I love that you included a latte to relax after slaving in the kitchen all week for this meal. It’s important to remember to relax and enjoy the holiday 🙂 I really enjoyed the homemade applesauce and butter recipes as well. I did not realize that Thanksgiving being so close. To be honest, I haven’t made any preparations yet. So, this is a life saver and a timely reminder. Thank you for sharing these tips. Would definitely try to start preparing according to the schedule you suggested. We are pretty much set with the menu we are having for Thanksgiving. I would love to add that whipped cream fruit salad though. It really looks good and I can prepare it earlier than the rest of the dishes we will be having. One dish down, a gazillion more to go. 🙂 Have a blessed Thanksgiving! Oh my gosh, that baked butternut squash looks so good!! Definitely keeping this in mind. We don’t celebrate thanksgiving here but I am attracted to all the yummy food that you have planned. 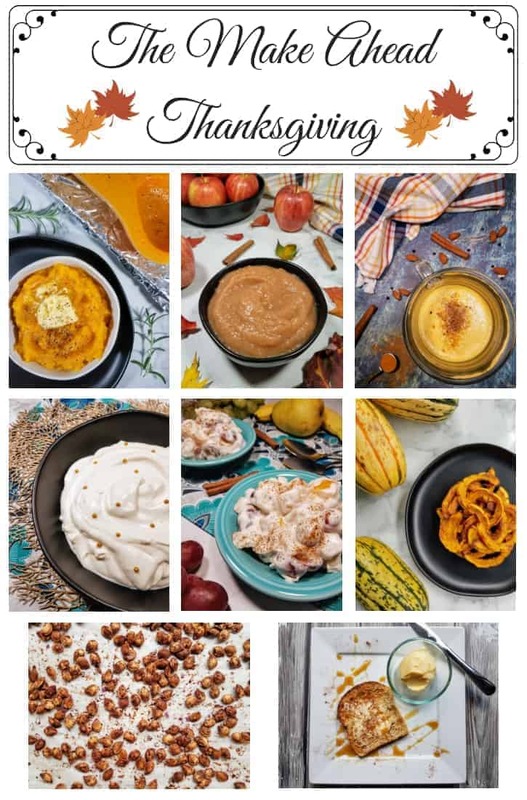 I might just create my own thanksgiving by trying to make all these especially the whipped cream fruit salad. Can I just say how amazing everything looks like??? Major kitchen goals. Although we don`t have Thanksgiving I like the idea of celebrating all our blessings.